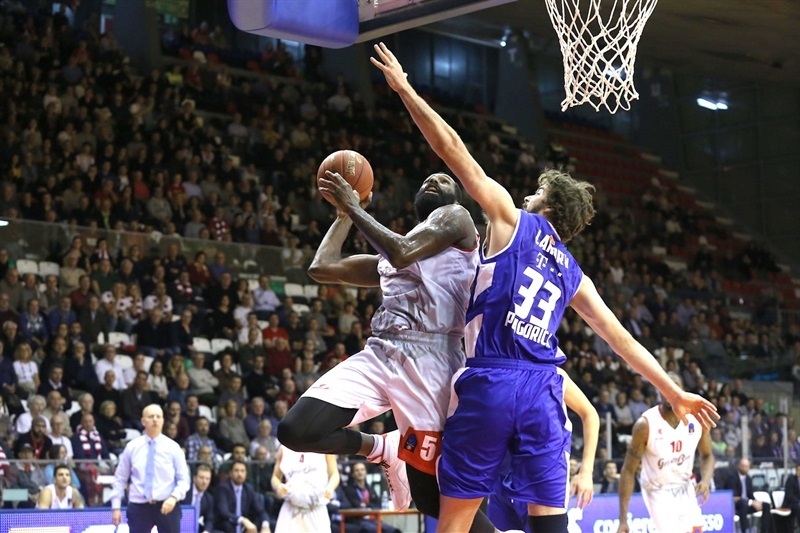 In an exciting game that came down to the final minutes, Grissin Bon Reggio Emilia snapped its two-game losing streak by downing Buducnost VOLI Podgorica 77-71 at home in Group B on Wednesday. 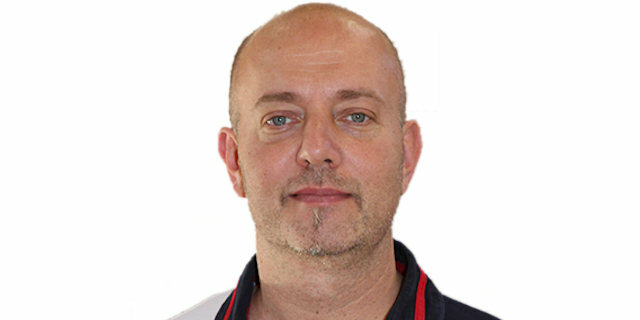 Reggio Emilia and Buducnost now have 3-3 records – three wins behind undefeated group leader FC Bayern Munich, which already qualified to the Top 16. 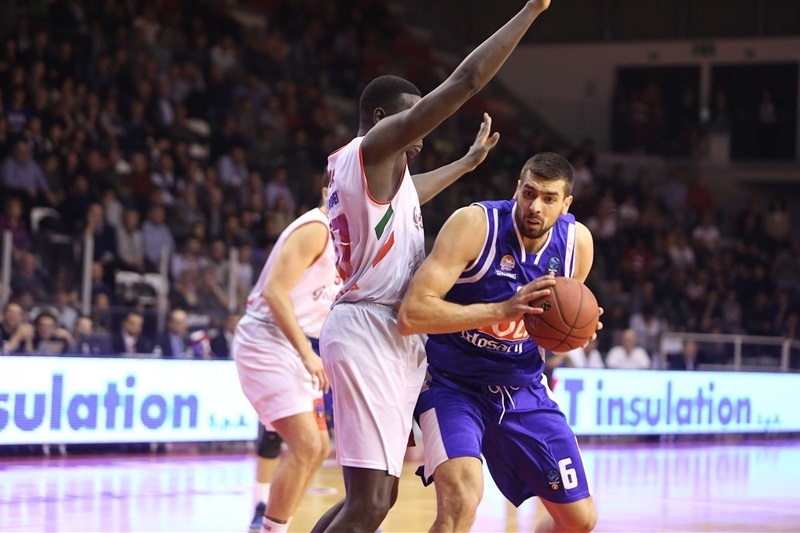 Landing Sane and Manuchar Markoishvili led the winners with 17 points apiece. 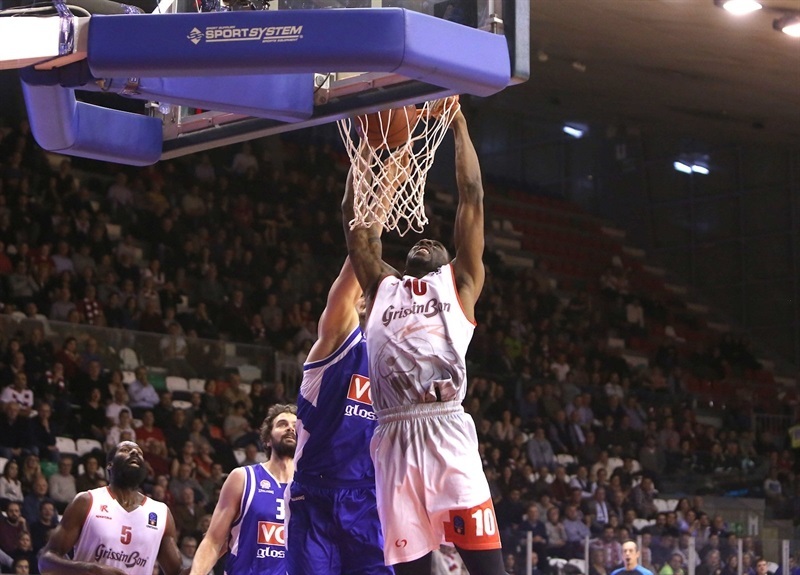 Amedeo Della Valle added 14 and 6 assists, Julian Wright had 13 points and 12 rebounds and Jalen Reynolds scored 10 for Reggio Emilia. 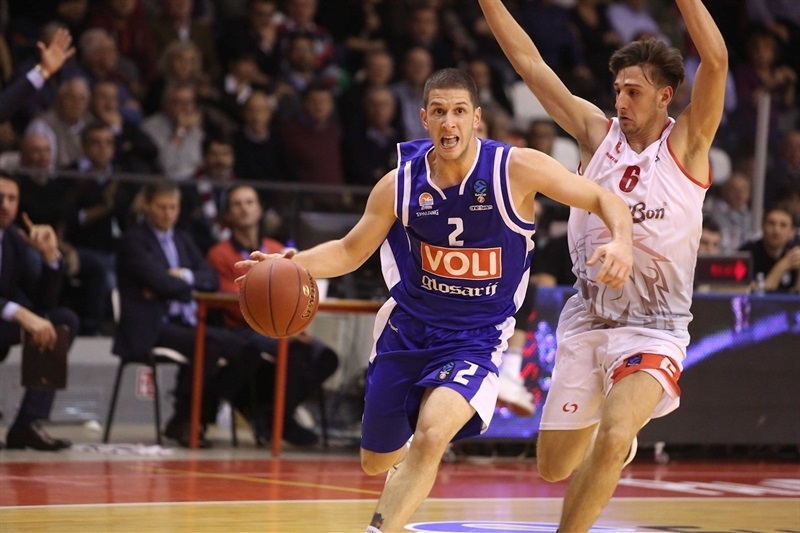 Nemanja Gordic led Buducnost with 20 points, Nikola Ivanovic added 13 and Kyle Gibson 11. It was tied, 37-37, at halftime before back-to-back triples by Sane gave Reggio Emilia a double-digit lead, 50-39. Filip Barovic and Gordic carried Buducnost back to lead 56-58 after 30 minutes. The visitors were still ahead, 63-65, midway through the fourth quarter, but Markoishvili, Sane and Della Valle stepped up in crunch time to seal the outcome. A dunk by Wright sparked a 6-0 opening run that he capped with a layup. Gordic stepped up with a turnaround jumper and back-to-back triples by Landry and Suad Sehovic - one from each corner – ignited a 0-10 run that Gibson capped with free throws for a 8-12 Buducnost lead. 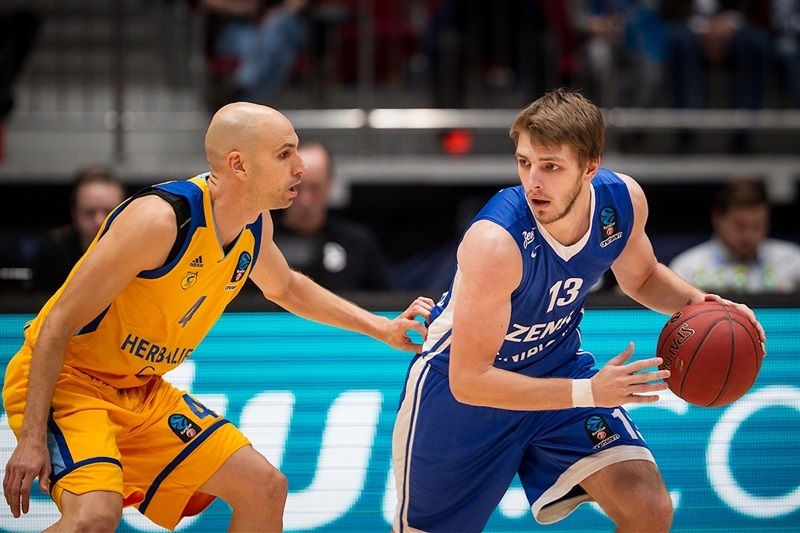 Reynolds rescued Reggio Emilia with a tip-in and Wright added a put-back layup, but Landry scored down low, Gibson added a three-point play and free throws by Ivanovic allowed Buducnost to keep a 18-19 lead after 10 minutes. Reynolds hit a jump hook early in the second quarter, but Ivanovic and Danilo Nikolic fueled a 2-9 run that made it 22-28. 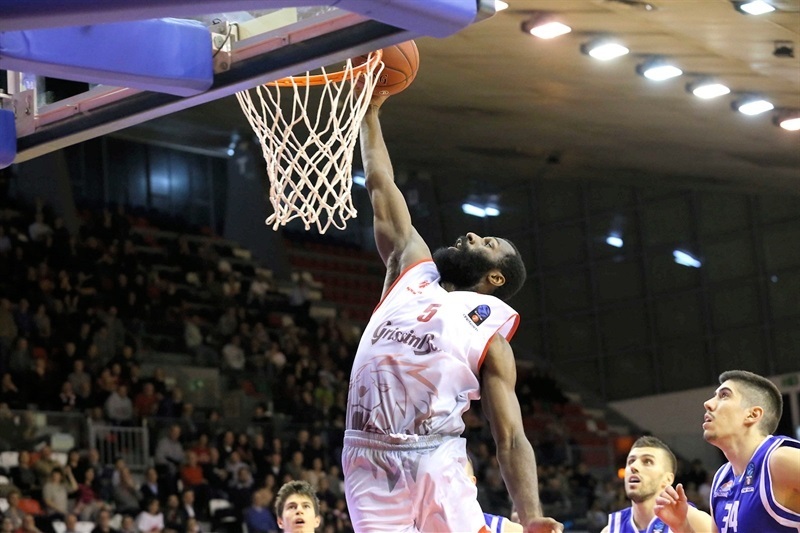 Reynolds dunked, Sane added a layup and put-back baskets by Wright restored a 33-31 Reggio Emilia lead. 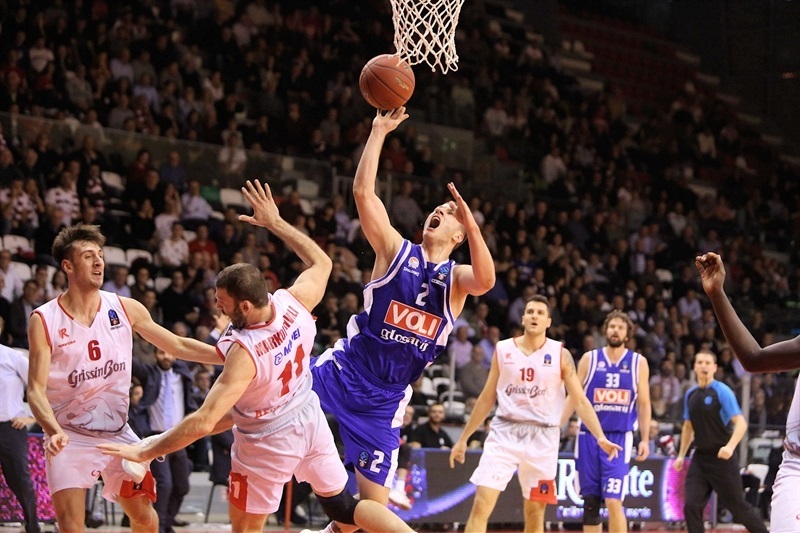 Gordic and Ivanovic each buried one from beyond the arc, but Della Valle tied the game, 37-37, at halftime. Reynolds dunked again right after the break, but soon left the game due to injury. Markoishvili followed a jumper with a triple, however, and Sane struck twice from downtown to make it a double-digit game, 50-39. Gordic and Gibson quickly answered from beyond the arc and Barovic followed a layup with a jump hook to bring Buducnost as close as 53-52. Free throws by Ivanovic and Gordic completed the comeback, 54-56. A driving layup by Gibson and free throws by Della Valle fixed the score at 56-58 after 30 minutes. 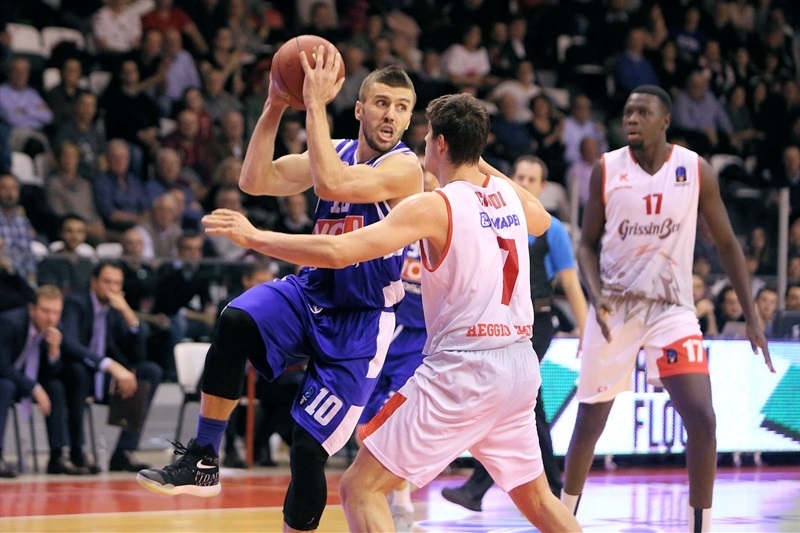 Barovic kept dominating down low and his hook shot gave Buducnost its last lead, 63-65. Markoishvili buried a critical three-pointer, Sane copied him right after that and free throws by Della Valle made it 71-65. 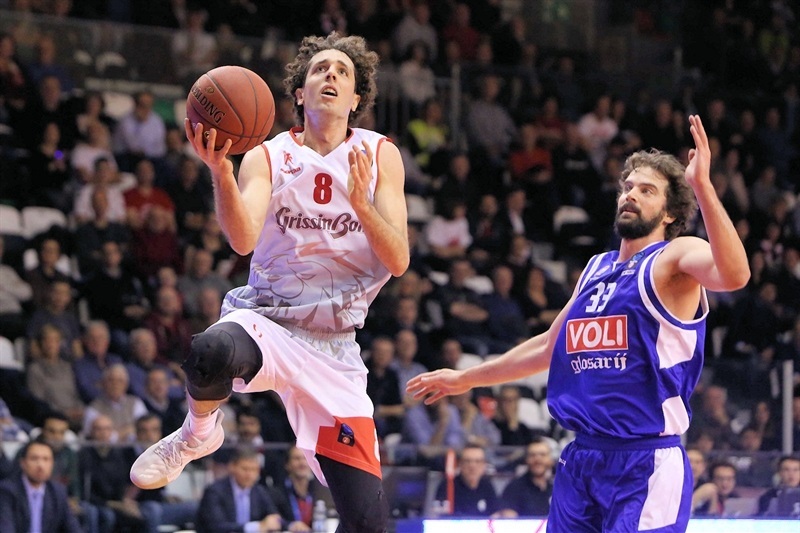 Gordic brought Buducnost within 73-70, but free throws by Leonardo Candi and a fast break layup by Sane allowed Reggio Emilia to seal an important win. 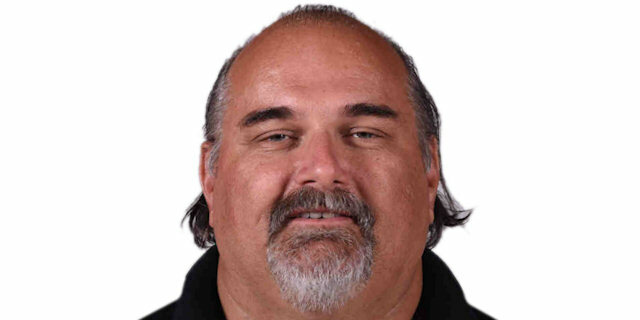 "We found out best energy, our best basketball, in the moment we lost Reynolds and Chris Wright. It is a very good way to face the injuries. It is a long way now but this is a very important one for our EuroCup." "Congratulations to the hosts, coach and team, they were better than us. We had a lack in our focus and this was the key of the game. We missed too many free throws, we missed some easy layups and even some three-point shots. Three days ago we played a very important game in our league, maybe we were a little bit tired."